Nashville, Tennessee –Tennessee Brew Works release new year-round “Headliner” beer, “Hippies & Cowboys” IPA. DESCRIPTION: This tropical and citrus IPA provides luscious aromas that filter through to the palate. Light on the bittering, it ends with a smooth and crisp finish. Crushable on the ranch or at a music festival. This beer will be a year-round, aka “Headliner” beer, for the brewery. RECOMMENDED PAIRINGS: Hippies & Cowboys is a very versatile beer that can easily be enjoyed in the rolling meadow or at the bar of a gritty honky tonk. It pairs well with long summer days and cool winter nights. It is best consumed with good friends and loud music. ABOUT TENNESSEE BREW WORKS: Tennessee Brew Works was founded with a mission to create high quality craft beer that pays homage to the land, traditions and culture of Tennessee. We brew beers using only natural ingredients and source them from local farmers whenever possible. Our culture places importance on family, friends and community, and we hope you’ll be a part of it. 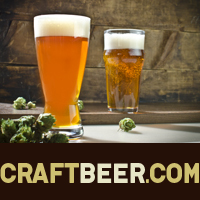 The post Tennessee Brew Works Releases Hippies & Cowboys IPA appeared first on CraftBeer.com.